Who watches the Watchmen? Based off Zack Snyder's film, this Dr. Manhattan Vinimate features a 4-inch vinyl figure of the character sculpted in block-figure style. 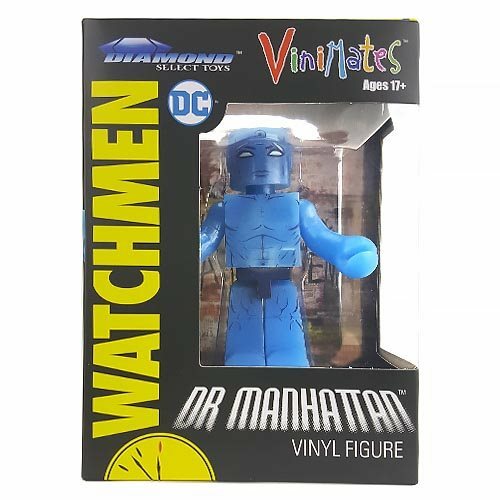 This Watchmen Dr. Manhattan Vinimate Vinyl Figure features an articulated neck for customizing his movie-inspired poses, and he comes packaged in a full-color window box. Ages 17 and up.